Governor Walker has a terrible problem that no one is talking about. He is an awful negotiator. This goes to the core of his political problems. It is the one skill that is absolutely fundamental for a politician in a democracy. And he doesn’t know how to do it. People who can’t negotiate often do one of two things, depending on the strength of their bargaining position. Either they walk all over the other party and create lasting ill-will and enmity that will become an obstacle to achieving future goals, or they give away the farm to anyone who makes them feel good enough about themselves. I am astonished that the pro-business groups that supported Walker’s election didn’t and still don’t see this. Or it may be that they did see but considered themselves to be in the latter category, the soon-to-be recipients of the farm. Unfortunately for them, Governor Walker had to walk all over some other interests in order to get rewards for his supporters, and the result has been a political firestorm. Apparently forgetting about another business concept, “sunk costs,” they’ve decided that the only way to rescue their investment is to double-down and invest in his recall campaign too. But surviving a recall won’t magically bestow negotiating skills upon Walker and his hold on the legislature has weakened, taking his bargaining strength with it. That means Wisconsin is increasingly likely to see the kind of inaction and stalemates that characterized Milwaukee County politics when Walker was the County Executive. His stint as Executive ended in financial disaster for Milwaukee, a result that Walker blamed on some of the politicians that he had to work with, in other words, blamed on his inability to negotiate with them. Walker has demonstrated this inability visibly and well. 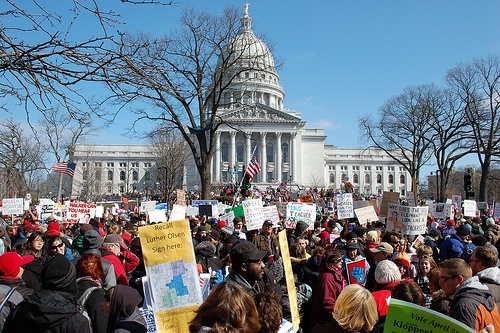 It’s right in front for all of Wisconsin’s citizens to see, if they would stop fighting about the issues long enough to notice. This fatal flaw isn’t going to go away and it means that no one will get what they want, unless political conflict is its own reward. It’s easy for a confident liar to lie. Getting that same liar to tell the truth is another story, a story told by David Perel, former Editor-in-Chief, National Enquirer, in a recent post. As Perel recalls, no one wanted to take the National Enquirer seriously when it published a piece about the pregnant girlfriend of a married presidential candidate. 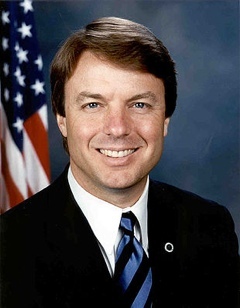 The man, John Edwards, denied it. Edwards’ aide supported the lie by claiming paternity himself. And with the supermarket tabloid’s long history of reporting ‘news’ about such fantasy figures as Bigfoot or the Loch Ness Monster, displaying photos of Satan’s face in a black cloud, denial was an easy sell for Edwards. Incredibly, the Enquirer team had not expected the denial or the creative cover story. Edwards was betting that only his confession could validate the unsavory story. He wasn’t about to do it. Unwilling to write off an actual news story and all of the effort and high-tech resources that getting it entailed, the Enquirer hired a mental health professional to help them to understand why Edwards was lying and how to gain his confession. The analyst told Perel that Edwards was a man who prioritized and controlled his own carefully constructed image. He would never confess to anything unless it was the only way to keep some of that control. This knowledge changed the way Perel handled the growing evidence. Perel held most of the evidence back but let Edwards know that the Enquirer team had stalked and photographed him throughout a recent encounter with his mistress. Edwards was given just enough information to realize that the Enquirer’s claims were true. From there his own imagination and guilty conscience could take over. Not knowing what else the Enquirer had, Edwards confessed to the affair but continued to deny fathering a child with his mistress, keeping some small control of the extent of his betrayal. It was enough to validate the Enquirer. Thousands of man hours and the use of the best technology available had still come down to one thing: understanding Edwards and predicting his reactions. According to Perel, letting Edwards imagine the worst was the only way to get him to tell some truth.